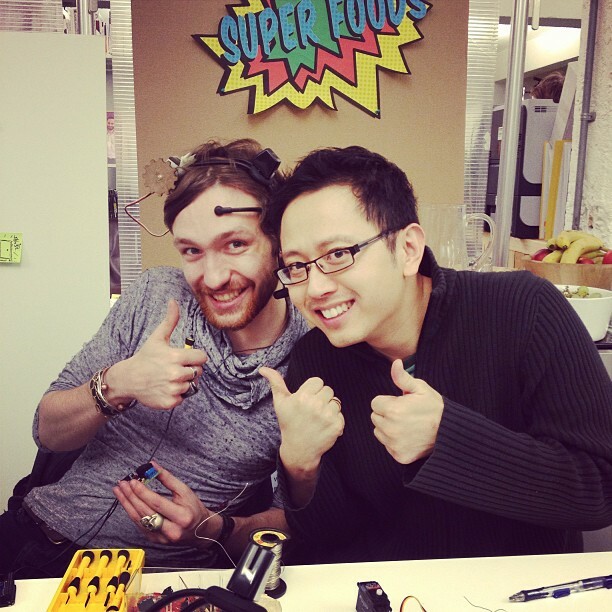 This past weekend I had the pleasure of being a part of the "SuperHuman" make-a-thon at the IDEO design studio in London. Needless to say, I had an amazing time making stuff and hanging out with such super-creative, awesome people, and I made a bunch of new friends in the process as well. From the icebreaker experiments with Miracle Frooties, to the wonderfully inspirational talk by artist/designer Dominic Wilcox, to the final presentation of prototypes by the twelve awesome make-a-thon teams, the two-day event was a wonderful brew of inspiration, creativity and perspiration with a giant helping of fun thrown in for good measure. By the end of the weekend, there were some fantastic concepts and, IMHO, some truly well-executed prototypes and presentations. 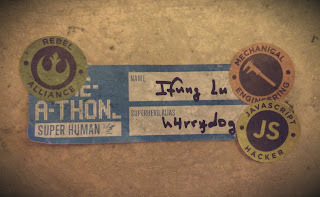 Many thanks to +Haiyan Zhang and the entire +OpenIDEO team for organising and putting together such a wonderful event. SuperPhysical: Being superhuman at everyday physical activities! A day before the start of the make-a-thon, the teams and the design challenge briefs were posted onto the web. I found that I was assigned to the SuperPhysical team and that our mission (if we choose to accept it) was to design solutions to how we might become superhuman at doing everyday physical stuff. On the first day of the event, we started to brainstorm ideas to cover the design space with as many concepts as possible. We came up with lots of ideas on augmenting our physical abilities — from being able to carry lots of shopping bags to make the trip in one go, to reaching things in high places, to getting there faster and regenerating power from your movements to power all your electronic devices. We had quite a few laughs in the process — you know you are on a good team when you can pitch seemingly insane ideas freely without worrying about others on your team passing early judgement (as sometimes can happen when brainstorming with clients on "real" projects). Two concepts quickly came to the fore as potentially interesting ideas and revolved respectively around the super-abilities of "telekinesis" to control everyday objects with your mind, and "telepathy" to broadcast your emotional state to others so that you can get your everyday stuff done. We built some decidedly lo-fi prototypes and put together a hokey performance skit to pitch the two concepts to the larger group, which they seemed to enjoy. It was really great that the audience seem to get and respond to our concepts, which gave us confidence that we were going in the right direction. 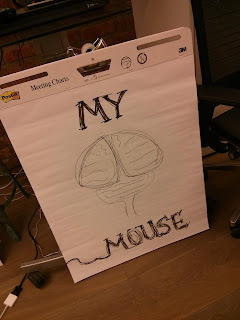 The next day, we decided to focus on the "mind mouse" telekinesis idea and flesh out the concept some more, focusing on storytelling and prototyping. 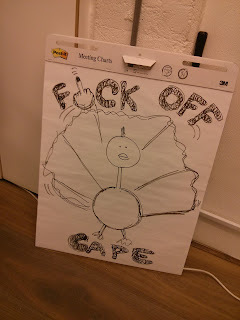 In the early-morning brainstorm powered by a wonderful super-foods breakfast and strong coffee, the team became enamoured of the objects of control having their own personalities and possibly even some degree of free will — to collaborate with other objects to collectively help you get stuff done like pack animals do, to be parental and "guilt-trip" you into doing what you need to do, and even to rebel and say "no" if you are acting against your better-self. 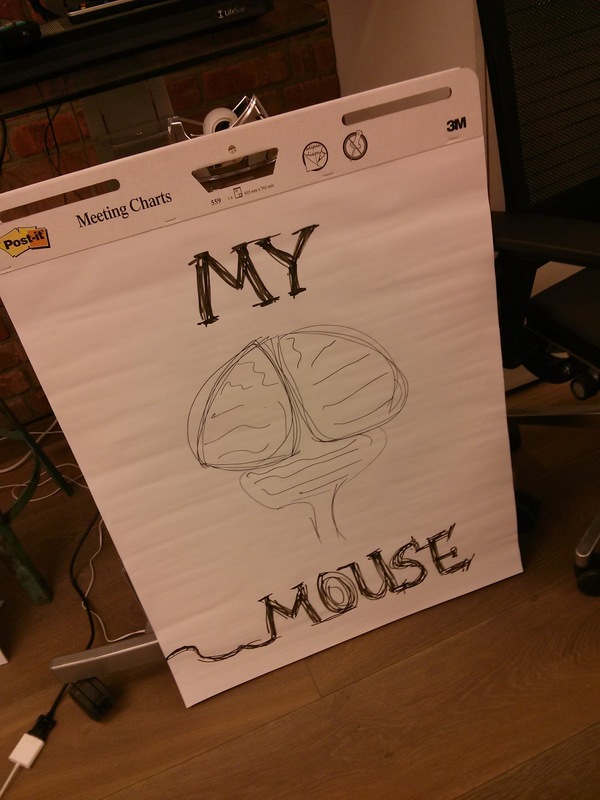 We then synthesised these new ideas with the mind-mouse telekinesis idea and evolved the superpower into the ability "to bring to life everyday inanimate objects and turn them into your minions to help you get your everyday physical stuff done." The concept involved plugging-in your everyday electrical appliances into "brain-boxes" that would grant them personality and give you the ability to control them with a "mind-control" headset, hacked from Necomimi brainwave cat ears. New personalities might be crafted by artists or experts, or even crowdsourced and curated to be downloaded into the brain-boxes. 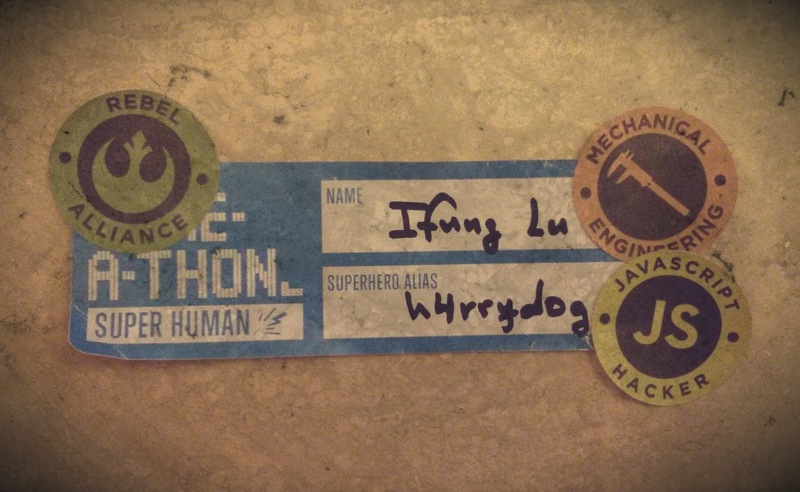 After a half-day of electronics and Arduino hacking, guerilla knitting, foam-core wrangling and comic-strip making, little did we know that we ourselves were being transformed into make-a-thon superheroes.